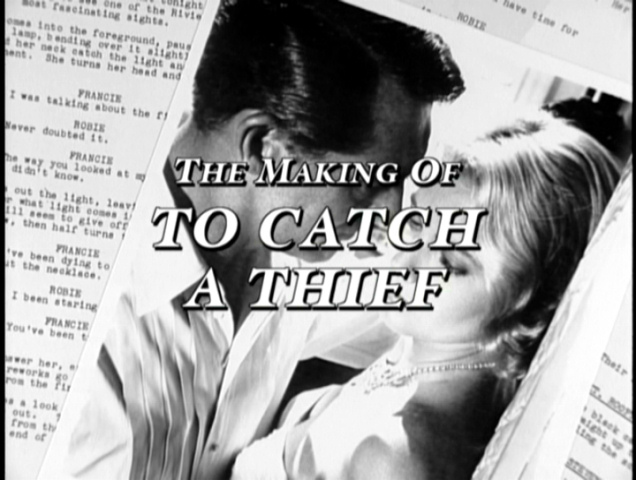 Short documentary covering the making of "To Catch a Thief". This documentary appears on most DVD and Blu-ray releases of "To Catch a Thief". Sylvette Baudrot - Script Supervisor on "To Catch a Thief"
Steven DeRosa - author of "Writing with Hitchcock"
Doc Erickson - Unit Manager on "To Catch a Thief"